This summer, Winter and Reeves will reprise their roles as best buds and eternal rockers William "Bill" S. Preston Esq. 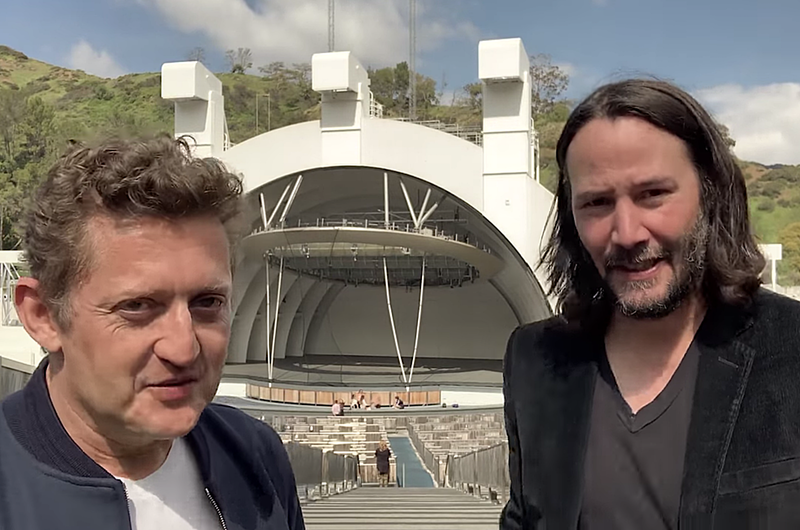 and Theodore "Ted" Long in Bill and Ted Face the Music, which will hit theaters on August 21st 2020. Galaxy Quest's Dean Parisot has long been attached to direct a script first penned by Ed Solomon and Chris Matheson years ago. The story finds the middle-aged rockers looking to fulfill their rock 'n roll destiny by writing a song that will save the universe. Expect lots of new faces from across time, and a fitting tribute to late comedian and franchise co-star George Carlin.